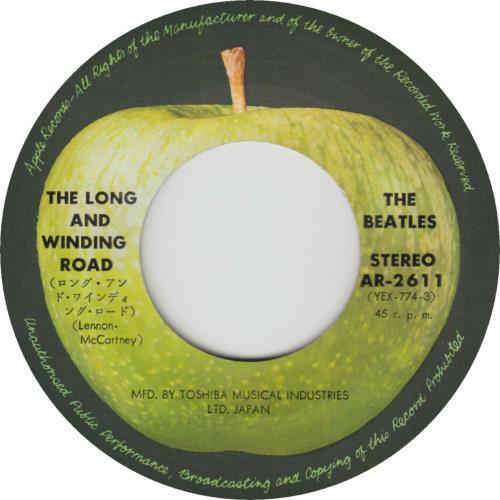 THE BEATLES The Long And Winding Road (1970 Japanese first issue 7" vinyl single on the Apple label with 'MFD. 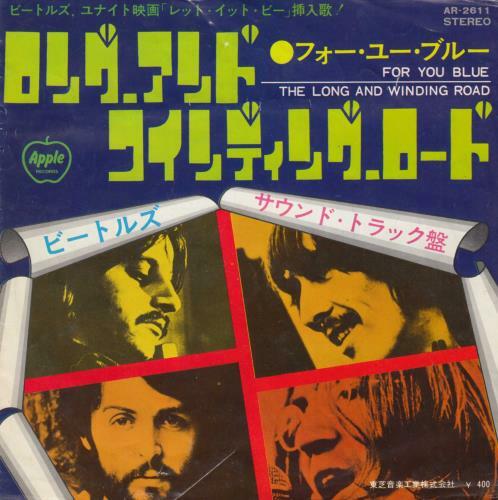 BY TOSHIBA MUSICAL INDUSTRIES LTD. JAPAN' credit, also including For You Blue, unique wraparound picture insert with '� 400' price point printed on the front, lyrics and album discography printed inside and 'Made In Japan H' on the back with a picture discography. The insert displays some minor wear whilst the vinyl shows only light signs of play, overall excellent AR-2611).